Navy and Shrimp Earrings. Gold Delicate Earrings. 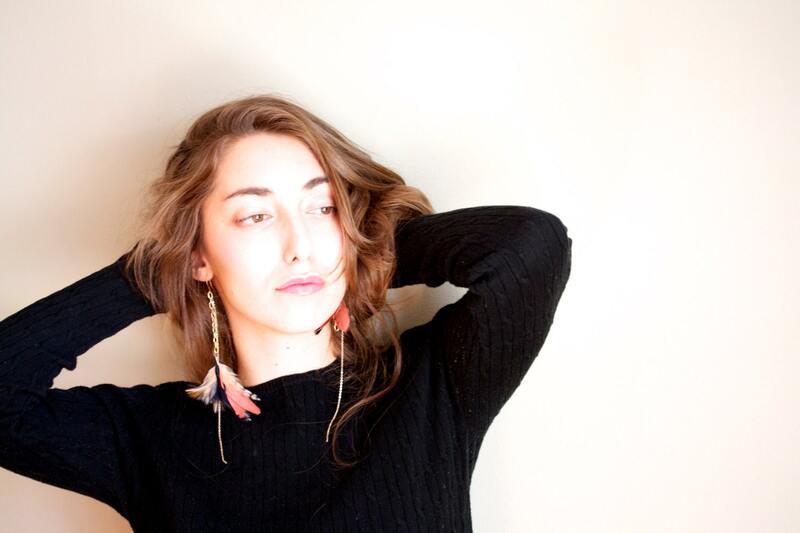 Gold Dangle Feather Earrings. 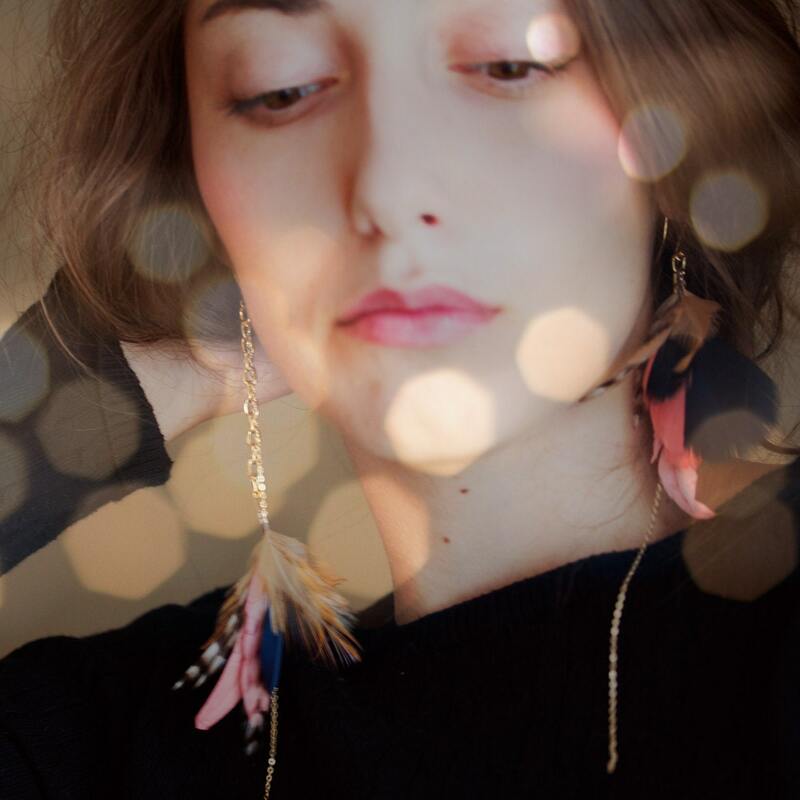 Feather Jewelry. 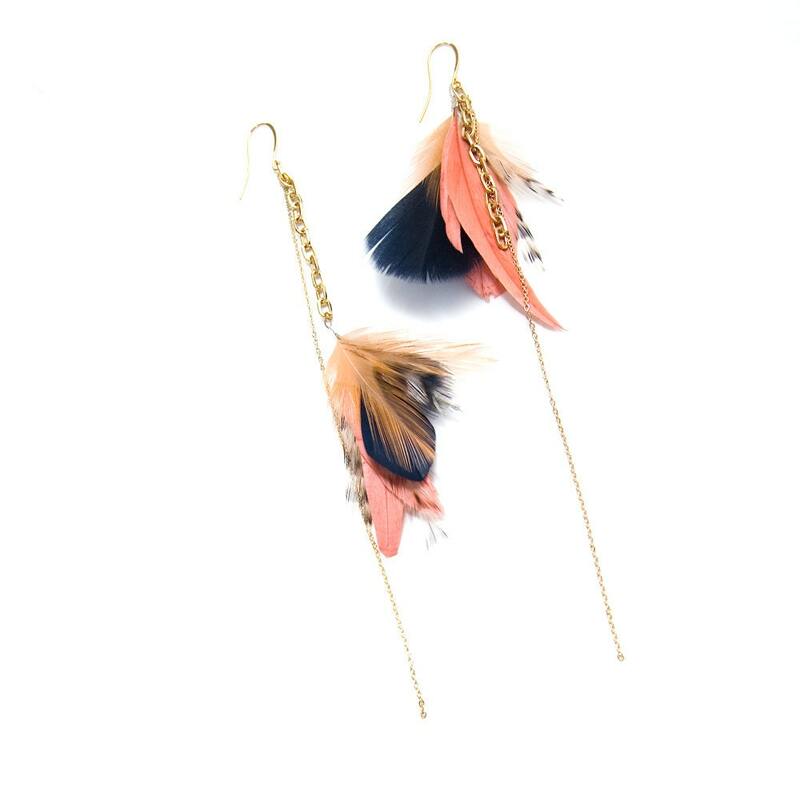 Coral Feather Earrings. 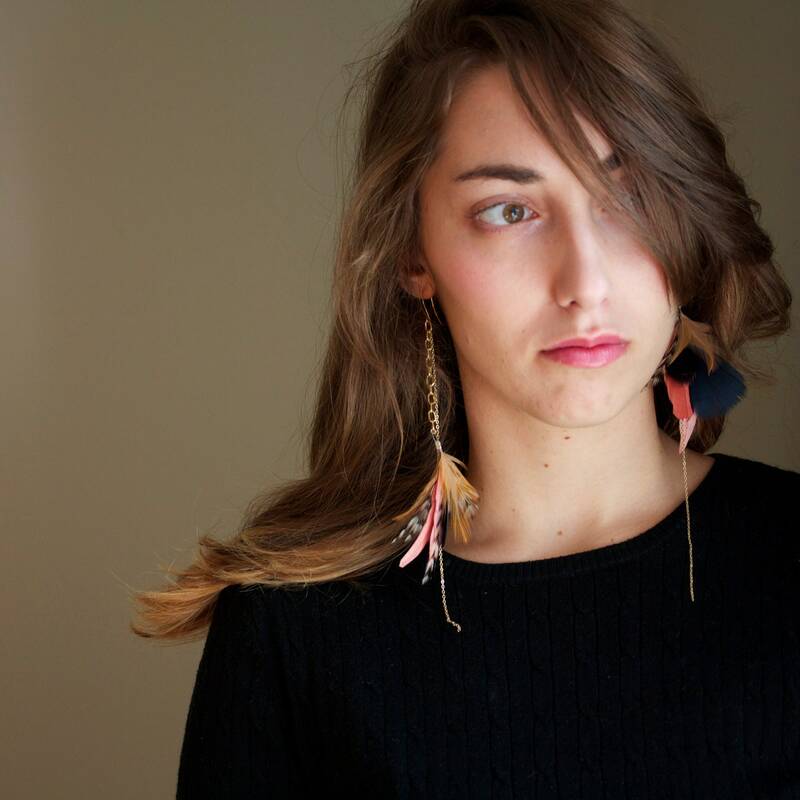 Navy and shrimp feather earrings are one of my best sellers, perfect for a stylish look. 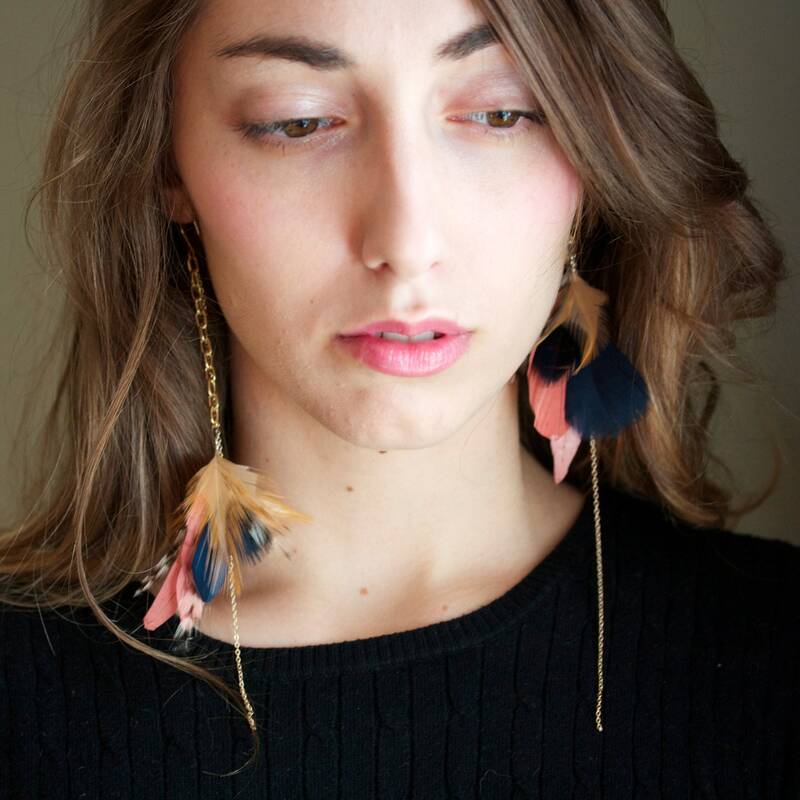 Delicate shrimp and navy natural feather earrings, mixed with chunky gold plated chains. Designed to be worn asymmetrically. Its so beautiful, love it! This is my second purchase from this seller. And I will be buying more earrings in the future. Both of my purchases arrived quickly, are beautiful and unique. Beautiful!! Noemie was kind enough to ship the earrings out the same day so that they would arrive in time for my trip. Very pretty! Got here in a jiffy too. Tumbs up.